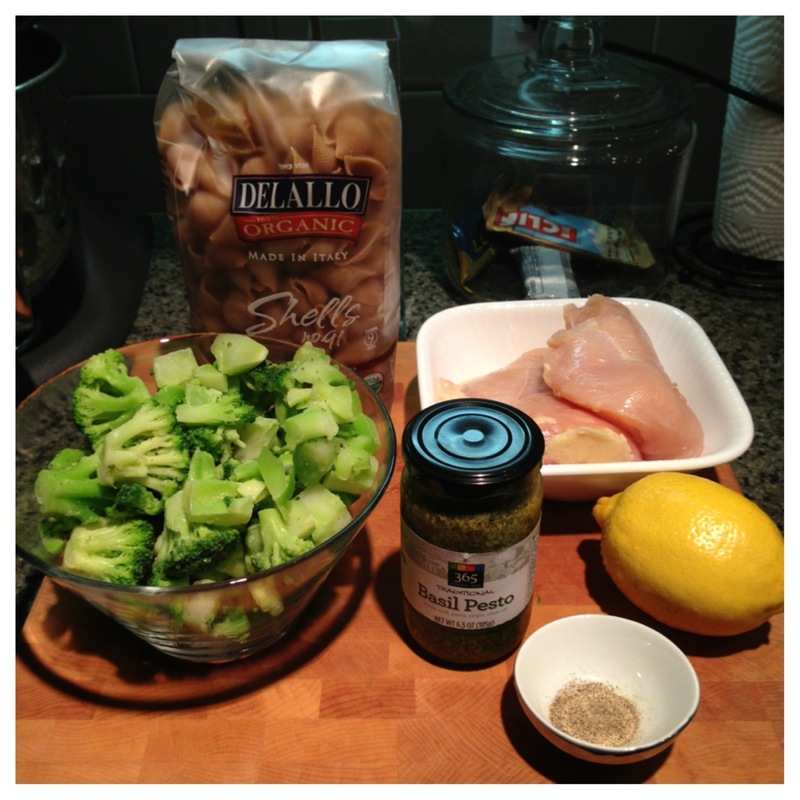 Healthy Lemon Basil Pasta | Day in the life of a little lady with a life goal to inspire. 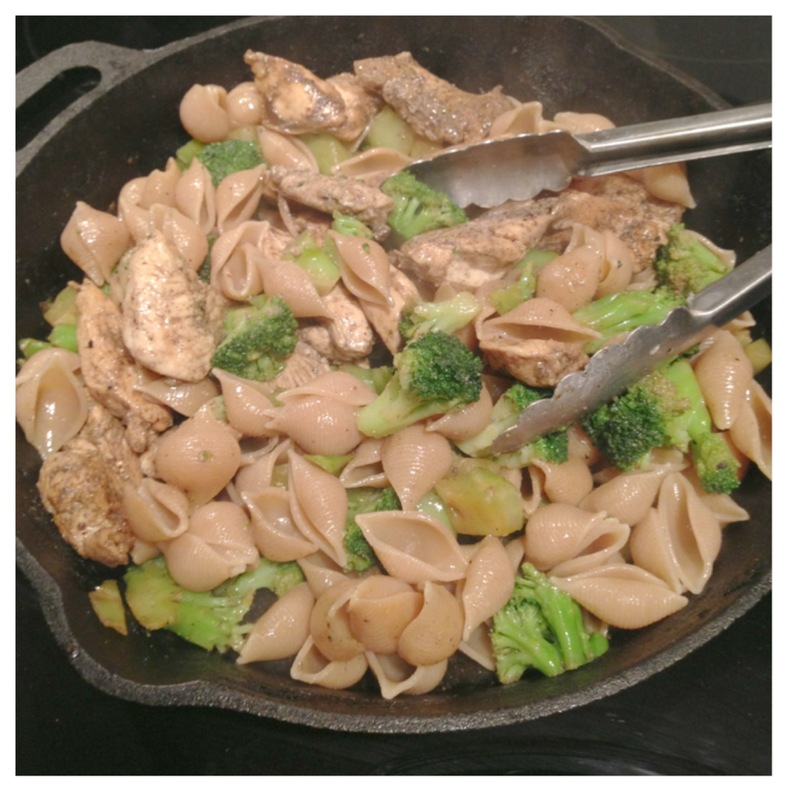 Here is another pasta recipe that is simple and healthy to make at home. I chose to feature basil in this recipe because it is a powerful antioxidant. It protects the body from cancer and aging. It has cardiovascular benefits that will be good for your bloodstream and blood flow. Marinate the chicken breast in vegetable broth and black pepper. Cover and refrigerate for an hour or more. To prepare the sauce I cooked the garlic in a pan for about a minute. Then I added the wine, lemon zest, basil pesto, and pepper. Simmer on medium high for about 10 minutes. I set that aside as I cooked the pasta shells. This particular brand takes me about 9 minutes to cook al dente. In the sauce pan, I tossed in the chicken until it was nice and tender. I wanted more greens so I decided to toss in a cup of broccoli. Then toss in the pasta and give it a quick stir. Replace heavy creamy pasta dishes with this tangy light pasta dish. Your heart and health will thank you later <;3 cheers to a happier and healthier lifestyle!